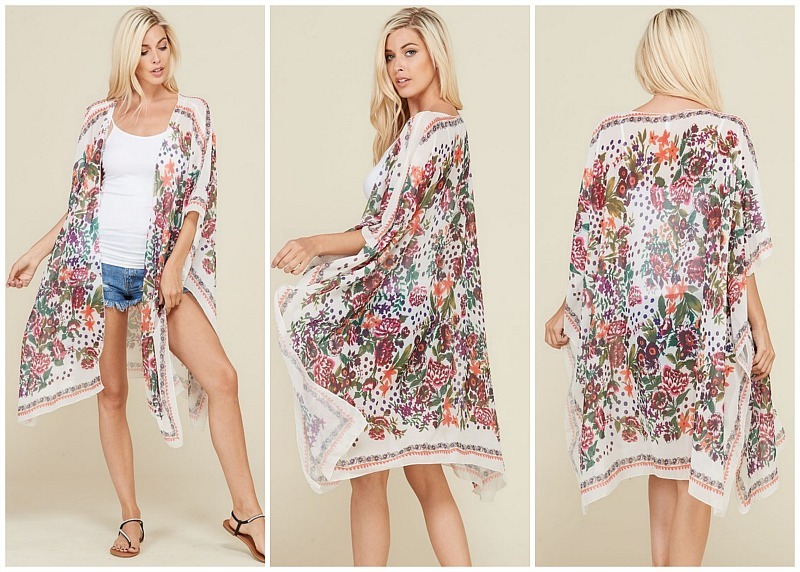 A pretty Hawaiian floral print adorns this open front kimono style cardigan. Super soft fabric and high side slits make this so stylish. Fit: We find this kimono style runs slightly large.